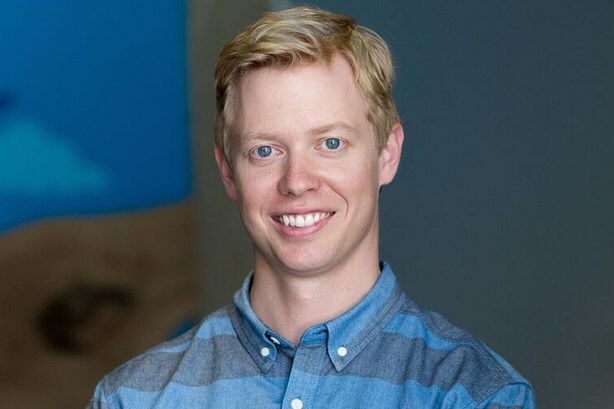 What is your take on the current state of affairs at Reddit? We are building out the leadership team and morale is much higher. The tone of the site is also much healthier. We don’t have this antagonistic relationship with communities that was developing before. We still have a long way to go. We have a lot of old technology, a lot of hiring to do at all levels, and a lot of product and innovation work to do. But we are in a much healthier place than we were when I came back as CEO in July. How do you boost employee morale? I haven’t been throwing pizza parties or anything. The community being upset with us really took its toll on the staff. So getting away from that and finding peace has had a big impact on everybody. We try to come together at the end of every week and talk about our successes and things that are important to us. My general philosophy on employee happiness is that most people want to work on challenging problems and have their work seen by people and be appreciated. And they generally want to have a fun and fulfilling career. So what we are trying to do is take steps toward that. Were you hesitant about taking the CEO role again, especially after the backlash against former CEO Ellen Pao over the ousting of popular staffer Victoria Taylor? For sure. It took a long time for me to come around to doing it and that had nothing to do with [Pao]. This role, even if you are doing a good job, is very difficult, because you are always answering to hundreds of millions of very vocal, articulate, demanding users. I took the job because Reddit is a huge part of my life and I am a huge part of Reddit [as a cofounder]. I felt like I had a moral obligation to come in and help Reddit live up to its potential, which I don’t think it was doing. How did you prepare for your Ask Me Anything session when you returned as CEO in July? I just winged it. One time, I did an AMA from my bed at home. Sometimes I get myself into trouble. But I talk to the Reddit community enough that I have a general sense of what is going to go over well. But I should probably prepare a little more. Our PR people would appreciate that. Reddit board member Sam Altman said in July that if the Reddit community cannot learn to balance authenticity and compassion, it will never be a great community. That is fairly accurate. I see the Reddit community as a reflection of humanity. It is important for members of our community to behave in a civilized fashion. But just like in the real world, there are some hateful, evil people on our site. It is not our intention to look for every hateful piece of content on Reddit and eliminate it – you can’t throw out the bad without throwing away some of the good, and we want to have all of the good. That said, it is key that we acknowledge there are hateful people out there. We did remove a handful of communities that were beyond distasteful and had a game plan for how to undermine Reddit and ruin it for everyone. That is something we can’t tolerate. Our job is to preserve Reddit for everyone else. This is an incredibly complex issue that we are still learning how to deal with. How can a brand find success on Reddit? Anytime a brand shows up on Reddit and represents itself honestly, they are probably going to have a good experience. When they try to behave like they would on Twitter, or basically any other medium where it is more shilling, that won’t work. Reddit isn’t the kind of platform where you just yell your message over and over until they get it. These are actual conversations. If you have that personal connection and authenticity, you can be influential. Not very well. The tech and design is very old. There hasn’t been a lot of change over the years. It is a real opportunity for us. I’m excited about making it easier for new users to figure out what Reddit is and for loyal users to find all of their little niches on the site, because it is not very easy right now. Reddit almost feels like an antique. It has a kind of "je ne sais quoi." But that is not something we strive for. Does that mean a redesign is in the works? A redesign of our desktop website? I’m not jumping into that shark tank just yet. Mobile gives us a huge opportunity to be more aggressive, because we don’t have a good mobile presence right now even though all of our users are going there. So we will probably start there. What is your marcomms team focused on? Amplifying the cool things happening on Reddit through posts on the site, our podcast, and via our mailing list and press pitches.